BLE 4.0 shield is to adapt Bluetooth Low Energy to serial port, which is specifically designed for Arduino and compatible boards, plug and play. 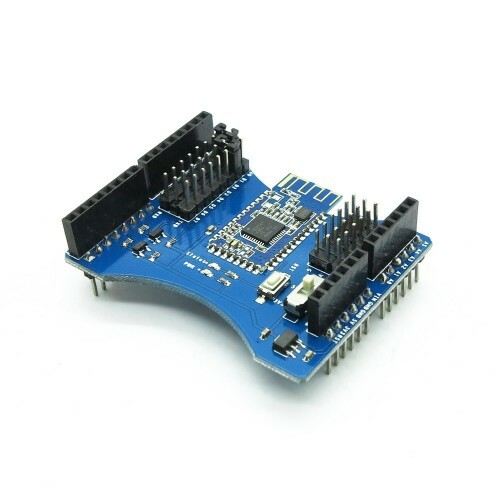 As the shield supports both 3.3V and 5V operating levels, it can be used together with other compatible motherboards such as Arduino DUE, ChipKit. BLE shield enables your Arduino board to communicate with other BLE devices, that is, communication with IOS devices, including iPhone 5, iPhone 4S, iPad 3 and iPod touch 5 etc can be achieved.